This entry was posted in Dogs, research, special dogs and awards and tagged Duke University, In Situ Foundation, University of California Davis. Bookmark the permalink. Most intelligent dogs need a job to keep them out of trouble. Too many people want a smart dog to be lazy and laid back. Fred was one of those. Her job as Therapy dog is what helps keep her happy. I agree. And although I like the concept of doggy day care – it’s actually not appropriate for many of the intelligent breeds because it doesn’t give them that job. I prefer dog walking services for these dogs that take them to a variety of locations, for example, for the stimulation they need. This, combined with pursuing activities like therapy, tracking, etc., make for a happier and healthier dog. All wonderful dogs doing amazing work! 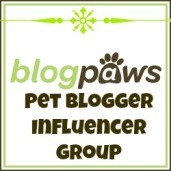 Check out my blog category on special dogs and awards and you’ll read even more about special dogs! AWESOME! Will definitely check out this foundation. Can’t wait to show your blog to the greyt spouse. We are both very much approve of rescued dogs. We have rescued 3 greyhounds and 2 regular dogs.